Many of you are well aware that I run a workshop titled The Masterful Virtual Trainer Workshop. A number of the things I will be sharing today will be drawn from it. Let me start with this question for you - Is motivation about (A) JOY or (B) TAKING ACTION? Most of you will probably answer (A). Why? Because you may be happy, you might be having fun, possibly exhilarated and you mistake that for having motivation. However, motivation is better defined as TAKING ACTION. It is harnessing results for what we want to do and to be able to see the outcomes of what we want to accomplish. 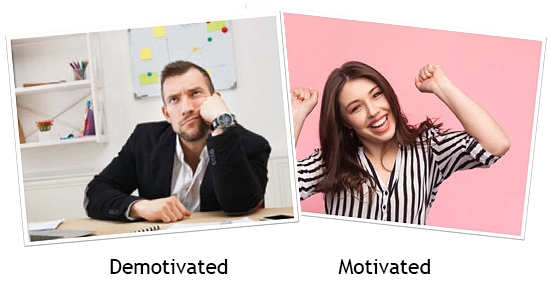 In a webinar or virtual session, what makes learners motivated or demotivated or uninterested? Some may say - monotone, little engagement, lack of interest, lack of interaction, no questions, not exciting or really boring situations. 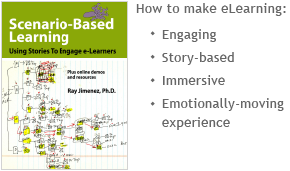 In one of my sessions I asked this question: In your own experience, how do you motivate virtual learners? 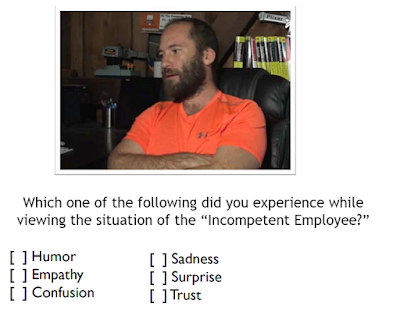 What is the Emotional State of Your Learners? Are they picking up ideas? This is probably where learning is happening but where disinterest may also be taking place. However, truth to say is this - they go hand in hand as a process. Preview the videos by clicking on the titles. We all agree that there is a huge distinction between the A and B models. Whereas A is blatantly boring and learners are practically disconnected, B shows the professor basically fielding provocative questions with seeming intimidation and getting his students focused and reflective. 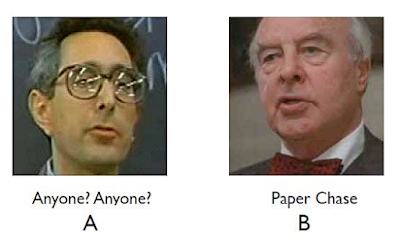 The Paper Chase video is actually a re-enactment of a Harvard Professor’s class that shows asking questions is far more engaging and gets the learners to think. There is only one type of motivation - SELF- MOTIVATION. We as trainers, webinar presenters and virtual trainers can be instrumental in raising motivation levels. But, understand that it still is a self-motivation process by the participants themselves. 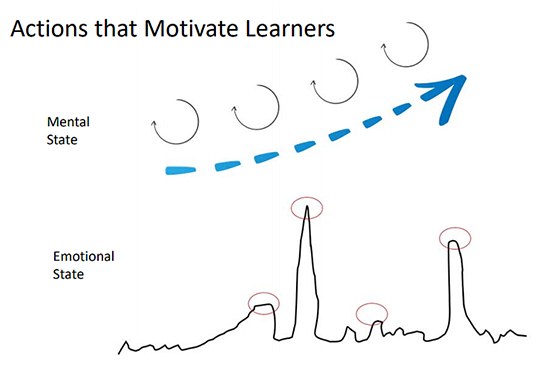 In reality, our job is to help move learners from a demotivated phase to the motivated state. 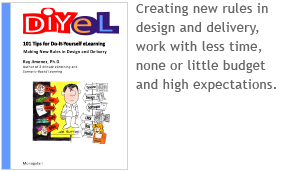 Let’s review and reflect on the steps to accelerate that process. These happen all throughout the entire webinar or the engagement meeting. Typically, we write a lot of instructions - a lot of content. However, they are not in “situation form.” In the examples below, which lesson grabs attention? It is obvious that the visual showing a situation would capture the imagination of the learners very quickly. Question to you: Why does a situation trigger high interest and motivation? What happens to the mind? What happens to our thinking process? Something happens in our minds. It triggers critical thinking. Connection happens between the situation and the learners. Situations help the learners connect with what you are talking about. If we do not start with a situation, we risk having learners disinterested in our topics. I am pretty sure that all kinds of emotions well up as a result of the diverse points from where we are coming. If this person was just lecturing, you would not really relate to him. But the video gives rise to different emotions depending on our own personal experiences or situations. Let’s say we chose empathy. This can actually be empathy for either the manager who is dealing with this or for the incompetent employee. This is why when you begin your presentation and you start with anything factual like for example, "Our objective today is to..." you lose your learner. So, instead of starting that way, begin with a situation. 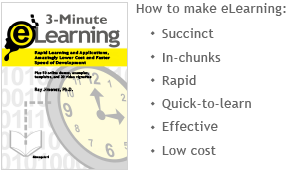 This will carefully and immediately make the objective clear to the learner. A SITUATION is the best tool that a trainer can use to start anything and is almost always guaranteed to provoke a reaction. In fact, the more you talk about a situation, the more the learner is able to think about the problem and find the answer. Situations are relatable. These trigger personal experience or memory. They provoke the thought process and gets the learner thinking. They require learners to analyze what is happening. The outcome results in practical application. What questions can you ask a webinar audience to start conversation? What emotions are the characters going through? Now you are taking advantage of questions that will trigger or continue the conversation. This is important in the way the learners think. Note that you could not have started a conversation without starting with a situation. 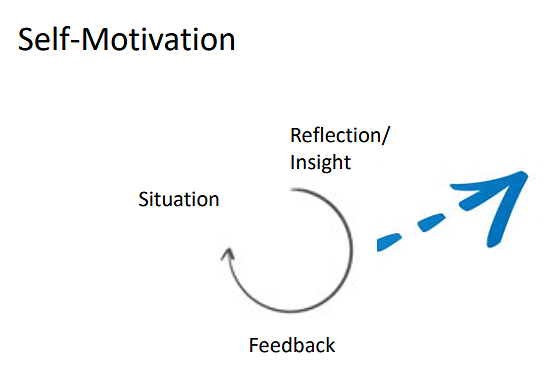 How does having a conversation in webinars help in learner motivation? Learners are encouraged to get involved and invested. They feel good because they participate rather than being lectured to. This allows them a sense of recognition and engages them deeper. The learners are having conversation in their mind as well as a chat among themselves and with the facilitator. No matter how huge the audience is during a webinar, what is important is that the learners reflect and listen to themselves, reflecting and thinking, to process what they are seeing in the questions to themselves. This enables them to bounce it back to others including the facilitator as they move through the circle of conversation throughout the webinar delivery. 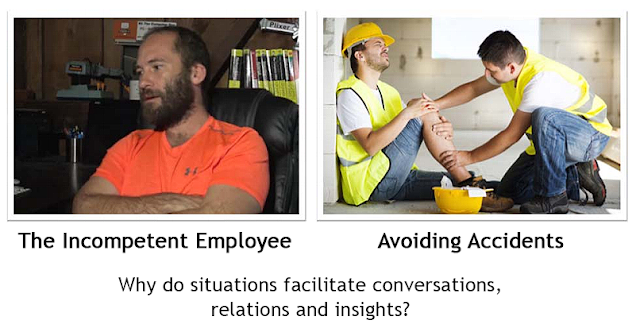 Situations help learners focus on context, meaning and insights. They set the tone and the background. Read back the conversation comments of learners as a way of reinforcing many of the ideas that you may be stressing in your lesson. Yet, note that you as a facilitator, are using your learners’ voice for your teaching points. Hence, it becomes your learners’ learning not yours. Situations carry meaning BUT conversations carry both content and meaning, Hence, when conversation takes place we insert content within a situation. If you start with a fact and not a situation, you will not be able to ask your learners to take action or ask them what they would do.